Another review for another version of Final Fantasy IV. When Namco announced that they planned to release an enhanced version of Tales of Vesperia on the PlayStation 3, I was excited. I thought it would be amazing to replay one of the most coveted entries in the series with trophy support, new characters, and even more content. As time passed, it started becoming evident that it wasn’t going to get localized. As a long time Tales of fan, I knew that this was entirely possible. While some very dedicated individuals worked on a fully translated patch, my interest (and my firmware on my PlayStation 3) waned by the time it was available. So, when Namco announced that they’d be re-releasing the game on current consoles during E3 in 2018, I was over the moon. The result is the Tales of Vesperia: Definitive Edition. Sadly, neither time nor Namco were kind to this game. It’s fun, but it’s evident just far the series has evolved. Tales of Vesperia takes place in the world of Terca Lumeris. The people of this world use technology called Blastia to sustain a quality of life. Most importantly, they create barriers around their towns so monsters don’t run amok. In the city of Zaphias, a Blastia that supplies fresh water to the lower quarter is stolen. While the town folks scramble, one of the residents decides to take matters into his own hands and begins gathering clues about the missing Blastia. His name is Yuri Lowell, an ex-knight that left the knighthood after being disgusted by its corruption. Yuri will do anything to get the Blastia back to Zaphias. Let me get this out of the way: the story is terrible. It has a promising start, but it doesn’t take long for it to become a muddled, boring and uninteresting mess. It’s a shame that a protagonist as intriguing as Yuri Lowell is stuck in it. It’s the characters in this story that will keep you going. 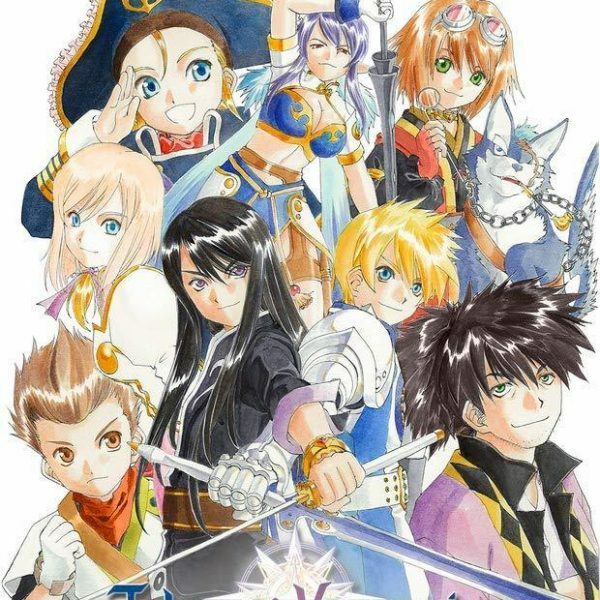 Similar to a good chunk of other RPGs out there, Tales of Vesperia is a game filled with great characters stuck in a lame story. Things really go south near the end; I ended up skipping the events because they were bad. I would have stopped playing entirely if Yuri and his friends weren’t such an amazing cast. Yuri and his friends explore the world of Terca Lumeris and all its locations. There are towns, dungeons, fortresses, ghost ships…the usual stuff. There is a lot to discover when you’re outside of combat. Every area is filled with secrets, hidden items quest triggers, and more. But. Combat is Tales of Vesperia’s forte. Your four person party participates in frenetic and frantic battles against a variety of enemies. Patty Fleur adds an entirely new dynamic to combat. It just takes a while for her to join. It’s like…what? These are basic things. If you’re coming from something post Vesperia, then not being able to perform such basic functionality makes Vesperia the epitome of clunky. 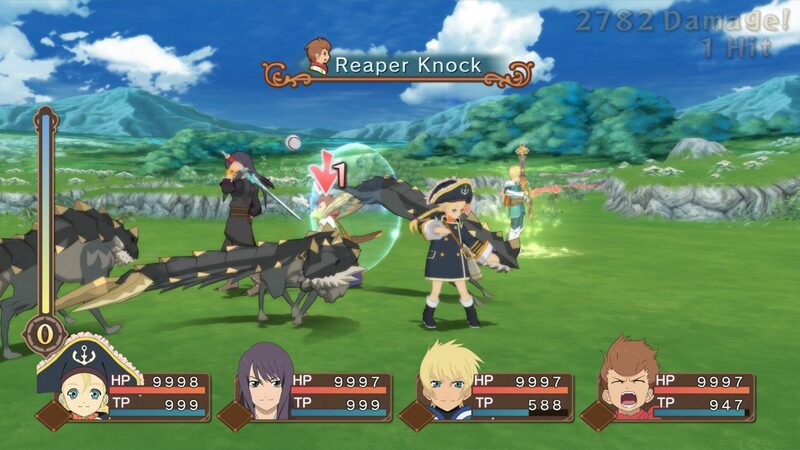 It’s not until later in the game you actually start to unlock unique features that make Vesperia’s combat enjoyable. These include one-hit kill Fatal Strikes and Burst Artes. But, even these have problems. In a traditional Tales of, entering Over Limit mode means characters won’t flinch. Here, entering Over Limit mode lets you dish out big damage with Burst Artes. But, you need to build the shared Over Limit Meter up to level four before you can enjoy the benefit of not flinching or getting interrupted. Don’t misunderstand – combat is fun once you acclimate yourself. There’s some satisfying oomph behind the hits, and characters other than Yuri are actually fun to use. Want to wreck faces from afar? Play as Rita. Want to play as a paladin? Estelle has you covered. Want to play as someone much more technical? Give Judith a try. There is good stuff here. It just takes a while for all of the good stuff to open up. Not that it should surprise anyone, but Tales of Vesperia still looks and sounds beautiful. Playing either on the tablet or on the television will display stunning, anime inspired graphics. The art direction is spot on. There are even a few animated cut scenes thrown into the mix. The music was composed by Motoi Sakuraba. I feel that this is some of his better work. The Tales of series has never been known for memorable music, but Vesperia is an exception. The biggest issue in the audio department is the voice acting. First, let me say this: I don’t mind that Yuri, Judith and a few other characters had multiple voice actors. It’s jarring at first, but it’ll eventually become an afterthought. My issue is that the quality is poor. One minute it’s soft. One minute it’s slow. One minute it’s soft and slow. It’s inconsistent and it makes the entire package seem like a rush job. No matter your console of choice, Tales of Vesperia looks absolutely gorgeous. If there’s one thing that Tales of Vesperia has, it’s content. Even back on the 360, gamers could accumulate hours upon hours and still not see it all. The Definitive Version has even more content. There are new side-quests, costumes, titles, attachments, dungeons and more distractions that make you feel like you’re playing an open-world game. The good news is that all of this stuff isn’t required to see the game to the end. But, to unlock the true ending you’ll be required to do some of it. This is why a first time through can last up to 80 hours. Alongside tinkering with the battle system and finding the right set ups with Artes and Skills, you’ll be cooking, side-questing and synthesizing. You’ll be happily distracted from the whole “save the world” issue. Thanks to the classic Tales of feature known as the GRADE Shop, replays can add even more time with bonuses such as 10X the amount of experience, extra money, and more. There are other little issues that show how little Namco actually cared about the finished product. There are spelling and grammar errors. The Switch version tends to crash or freeze. I need to say it again: if not for the characters and (most of) the game play, I would have dropped this game long ago. About 90 hours later, here we are. The hefty post-game content is enticing, but it’ll be saved for another time. As of this writing, I’m not sure what’s in store for the Tales of series. If there’s another lull in new entries, then going through Tales of Vesperia: Definitive Edition with GRADE bonuses could scratch that itch. So, for those that did it all on the 360: are you wondering whether or not it’s worth it to do it all, and then some, once again on a modern console? If you enjoyed the crux of the game i.e. it’s battle system, then the answer is yes. The two new playable characters, Patty Fleur and Flynn Shifo, add new layers to the combat. The other extras not found in the 360 version make it worth going through this game again. Another way to look at it is that if the 360 version was considered 100% complete, then the Definitive Version can be considered 110% complete. However, if you’ve just finished something more modern like Hearts R or Berseria, then proceed with caution. 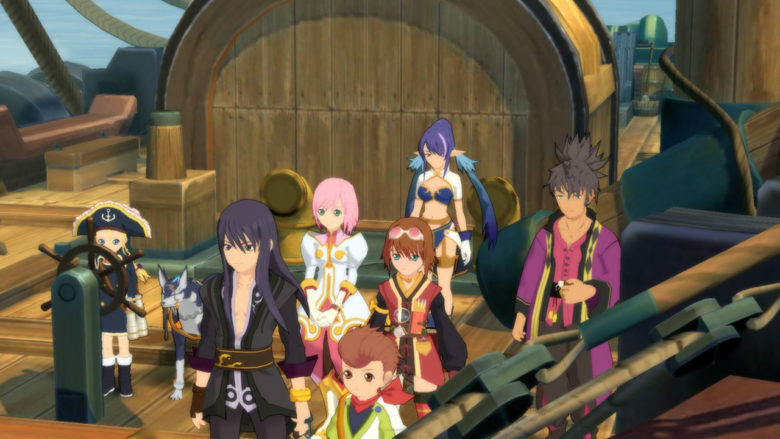 Even as a Definitive Edition, Tales of Vesperia takes a while before it shows all it can do. 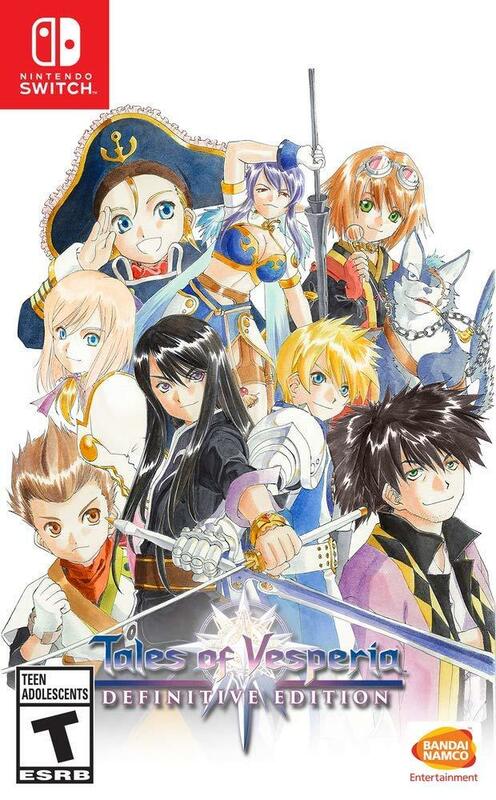 Overall, 7/10: Tales of Vesperia: Definitive Edition would have been a 9 or a 10 if it were released last generation. Take caution. The series has evolved since then.